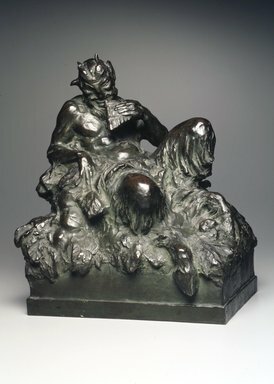 Seated figure of satyr with grotesque face and legs spread open; holds a pan flute to his mouth with proper left hand; sits on mound of roughly modeled earth atop rectangular base. Green patina overall. Condition: good.